Season 1 of NBC’s Fashion Star may be coming to a close, but we are already counting down the days until season 2 starts! The first season of Fashion Star was a massive hit as unknown designers launched their careers and sold their designs in Macy’s, Saks Fifth Avenue and H&M. 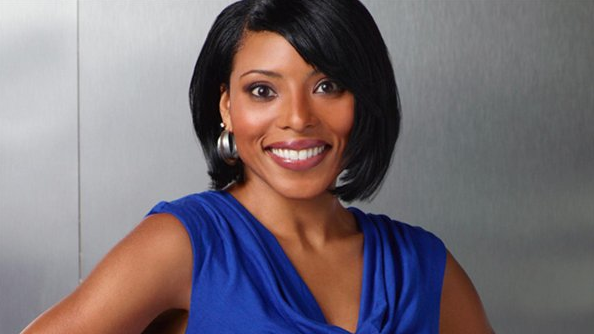 One of our favorite buyers on Fashion Star is Caprice Willard! Over the course of the show Caprice offered the designers helpful advice and insightful tips on what it would take to become the ultimate fashion star! Did you always want a career in fashion? CW: Actually, no! I went to college, and I majored in English pretty much because I wanted to be a teacher. It just so happened that while I was in college I worked in retail and found I had an interest in that. When it was time to graduate I was planning to become a teacher, but my mother (who was a teacher) advised me to explore retail and business-related careers because she could see I had an interest in it. I visited a career center and found out that Macy’s was interviewing for an executive training program that sounded very interesting. They basically brought you in and through the week you would be shadowing the buyer, and on the fifth day you would be in a classroom setting with other trainees learning the job. I thought it was fantastic because I would be leaving college, but not leaving a classroom setting. It was that 10-week bridge program that gave me hands on experience to ultimately learn the job! Once I took the job I realized this whole new fashion-related world that I had never considered. I had never thought about how the clothes get here, or who makes the decisions, or any of the fashion retail background, and so once I became a buyer I had the opportunity to explore that, which was really interesting! What advice do you have for young people who want to be a part of the fashion industry? CW: The number one thing I wish I had done was internships. Many retailers and designers have wonderful internships that young people have access to, especially in college. I wish I had taken advantage of that opportunity because an internship gives people a chance see if something is a good fit before they devote their entire life to it, and it is a great way to build contacts. In the fashion world having relationships is really important if you want to move forward! What made you want to be a part of NBC’s Fashion Star? CW: I was excited to become a part of Fashion Star because I thought it was really great that a huge company like Macy’s would be open to trying something new and fresh and different. It was a way to catch customers in a way that has never been done before, and I wanted to be part of that new approach to driving business. I also was excited about becoming part of it because I do think there are a lot of people who have never thought of buying as a career, or have never thought of fashion as a viable option for them (whether on the design side, the production side, the buying side, etc. ), and I was very excited about being able to shed a light on what I do and the industry I work in. I wanted to pull the curtain back and educate people on the possibilities! 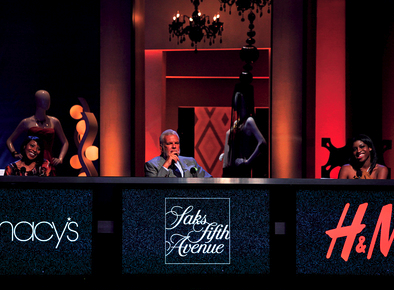 Which designers on the show did you feel had a particularly good understanding of Macy’s? CW: That’s a really good question. I would say initially I felt like Nikki [Poulos] had a very good understanding of a portion of our customers. Over the last few episodes Ronnie [Escalante] has also come on very strong as a designer who is really starting to get it. From a men’s wear standpoint Nzimiro [Oputa] is also incredible. They have all come so far from the first day and I have felt so good about how all of them have taken my feedback and incorporated that into their design aesthetic. What was the hardest part about buying for Macy’s on the show? CW: For me it was hard to buy for Macy’s on the show because we have so many different markets and demographics, so I really had to think about which customers I was going to buy what for. It made it difficult because there were a lot of things that I saw every week that could have worked in some of our stores, so almost every designer was tapping into some portion of our customer base. I tried to target designs that I felt had the most universal feel and could attract the majority of our customers. What has been one of your best buys on the show? CW: Every single week it has been more and more fantastic as far as the performance. The customers have responded at a much greater level then we intended and sales have exceeded expectations! The menswear that we have offered from Nzimiro has really been a fresh approach and the customers have really gravitated to that. All of Ronnie’s dresses have done phenomenally well and Luciana [Scarabello]’s jackets were also a stellar item! It comes down to what is fashion-forward and appropriate for spring. What was your best Fashion Star memory? CW: My best memory would be the time that I had to spend with the designers helping them to understand what their opportunities were. I really enjoyed giving them feedback and I felt very good about the time I spent with them. I feel the best about the fact that I participated in someones dream coming true. Everyone who sold something on that shows launched their career regardless of whether they ultimately win Fashion Star or not. It is great to think that I had some small participation in helping them get closer to realizing their dream. It is a very fulfilling feeling because it is not every day you get to make a difference in someones life! Don’t forget to tune in to see who wins! This is really awesome advice! I love how caprice is super sweet on tv and in print. Keep up the great work as a Macy's buyer!!!! I find it really helpful to have this interview. it is so directed at College Girls and I feel like I never considered becoming a buyer before this, but now I feel like I have options....thank you so much College Gloss and Caprice Willard for opening my eyes up to so many possibilities for a career in fashion.